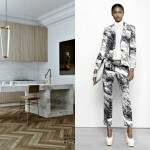 I have been writing a trend post for hardwood flooring company BOEN (You should check them out! They have the most dreamy wooden floors. 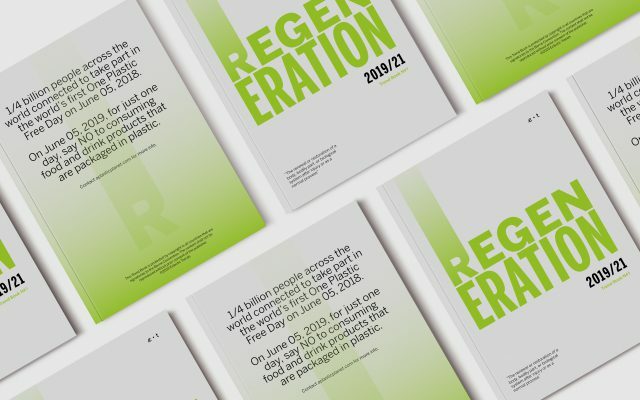 ), and since I believe the topic is really interesting, I’d like to share the content with you on the blog too. 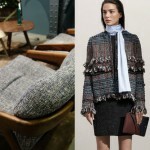 When Interior Meets Fashion is a series I started when coming back from the IMM15 show in January being aware on how much fashion has been influencing in the interior world for the past few years. Head-to-toe sparkle lit up some of the catwalks in AW14/15 and S/S15. 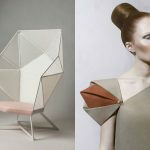 The allure of shimmering fabrics just never fades, and a rainbow of iridescent shades casts a space-age lustre and hops now over to the interior design world. 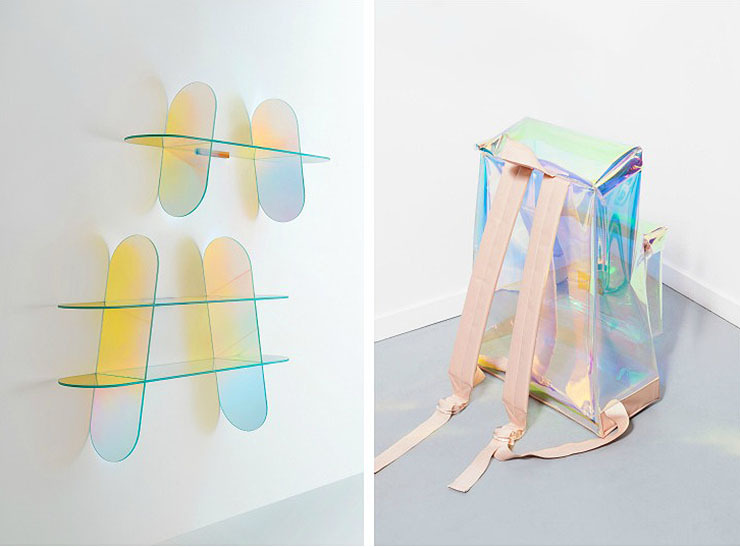 Iridescent glass is emerging as a major micro trend providing a subtle sheen to furniture and lighting design. Spanish designer Patricia Urquiola has created this iridescent coated glass shelve for Glas Italia called Shimmer (left), with geometric panels of glass that create spectacular layers of prismatic color. I really like the design on the right! Eastpack has teamed up with Swiss designer Sabine Marcelis who got a free hand creating a limited edition backpack with a very similar effect. I believe, transparency is key and looks just beautiful. I would probably have an extra fabric bag in there not wanting to show all my belongings though:) You? 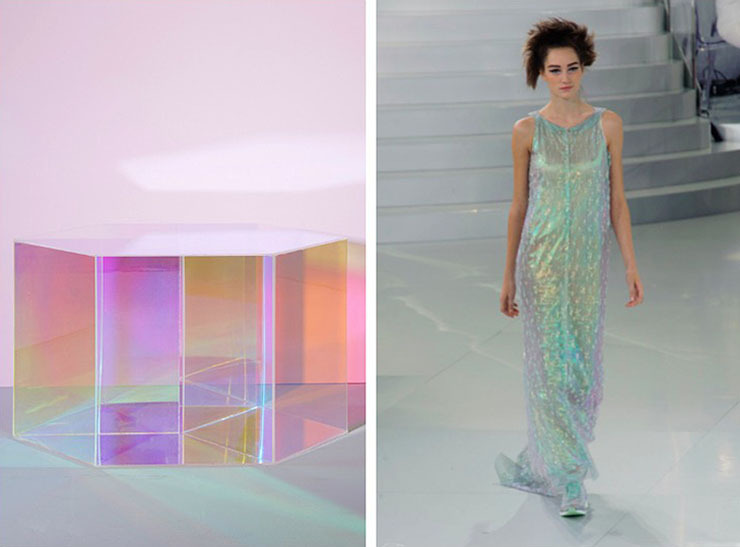 The iridescent bed side table named Jet Lag (left) forms part of Lena Hemm’s first furniture collection, and the shiny dress on the right belongs to Chanel’s Spring 2014 Haute Couture show (right). I think it looks really cool with the sneakers! 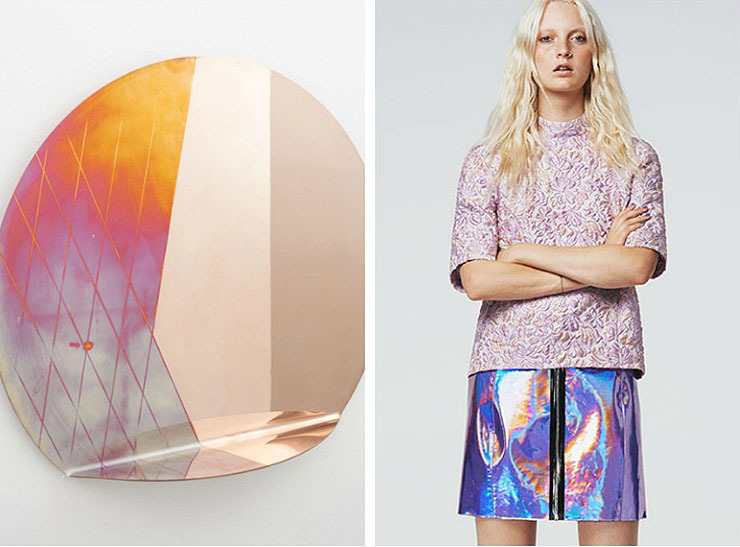 The Hamburg-based design studio Besau-Marguerre (left) has created the Iridescent Copper mirror inspired by history and the fact that mirrors are as ancient as our human need to embellish ourselves. Back then, mirrors were orginally made from polished metals and copper. Markus Lupfer (right) is known for his innovative and often surreal use of print, embroidery and graphic embellishment. He has been blended in some metallic-effects in his new S/S15 collection. How about the glass pedant? 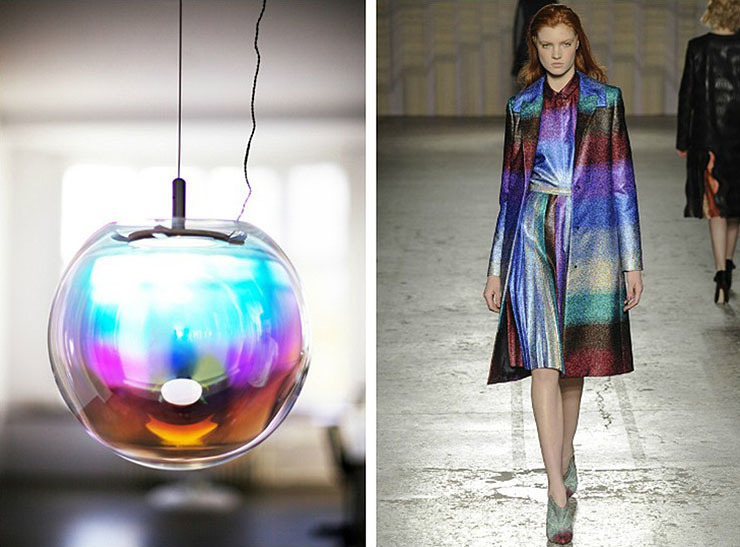 Named Iris, this handblown crystal lamp with an iridescent coating (left) won German designer Sebastian Scherer a Lexus Design Award in 2014, whereas Marco de Vincenzo on the right, suprised with a collection where coats and dresses were paired with a most dazzling effect.